Welcome to Phase 2 of MYTW! First and foremost I want to thank all of you who have stepped up, supported, cheered, rolled up your sleeves, gave your time or heart to this amazing process. The yoga community’s unwavering patience and excitement has been what has kept us going on this incredible journey. What is currently being built is nothing short of awesome! It is not often that one gets to do the same thing twice in their life but this time with great hindsight and with a wonderful team by my side. I am truly grateful. 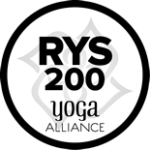 Please know that we are moving as fast as we can to open fully to the yoga community, but want to do so with the care and credibility you deserve. To do this we are working in phases. We began with one minute at a time, then one day at a time, we were then able to move to one week at a time and now we are working in big picture phases! We are thrilled to announce that Phase 1 is up and running (check). At this time we have a business, proper insurance, a website, a temporary location until May 1 and our training programs and community have settled into their new temporary home. Core sessions and tech sessions for trainees are alive and well and we are now adding in some workshops, intensives and retreat weekends that are open to the public during the month of April. We are even hoping to begin a new training group starting May 9. Registration and info sessions are open! Phase 2 will be us securing and building out a new fabulous permanent home and adding back in drop-in classes, series, workshops and retreat weekends. This will be no small feat, but we are dedicated to being fully operational as soon as possible. What you can do…keep watching this website and facebook for updates and opportunities. Keep the support and well wishes coming; sharing posts and events, communicating goodwill and letting us know you are out there is the fuel we are thriving on. It takes a community to uphold a community and we are aware that the longer this process takes the more we risk the communities patience. So hang in there, something great is coming and we got this!